It is an open back design so not mini modular and it's other builds are even more perfect......post office and what appears to be a newsagent. I see things differently.....they are perfect to add to any city layouts. This does very little to excite me. For a Toy Shop, this hardly looks the part in its overall aesthetic -- although I admit the box shot doesn't offer a full perspective. 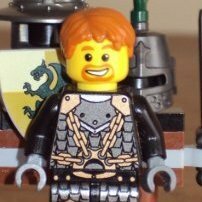 On the other hand, I'm intrigued to see a close-up of the first alternate build. Likely will be overpriced with not enough detail to match the cost. I had the same feeling with this years cafe/bike shop set, but I brought and built it......and I'm very happy with this direction Lego has taken. I was a bit disconcerted by the open-back nature of the toy and grocery shop, then I realised that of course you'd be able to fold it and connect the two halves of the building. It would never fit in with my Creator buildings otherwise. 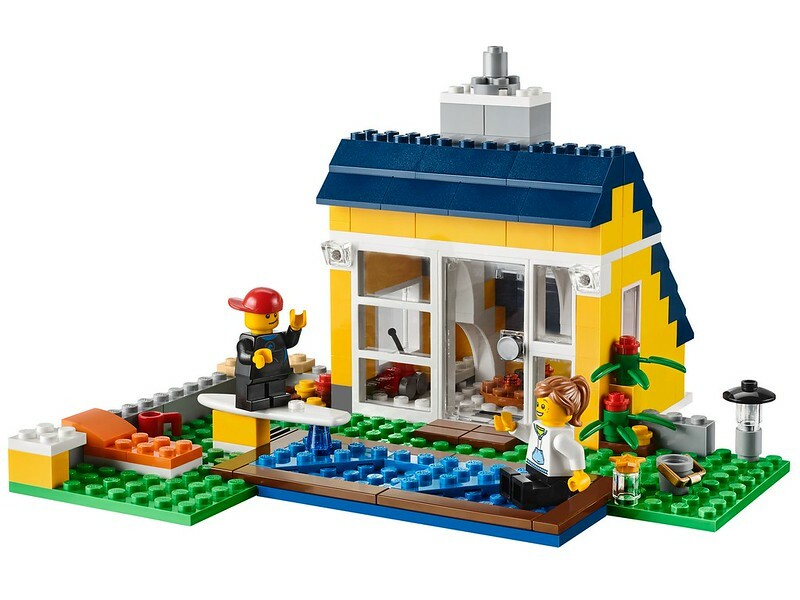 And I do approve that the baseplates are the same size as the ones for the toy and grocery shop, with the same colour tiles and everything. 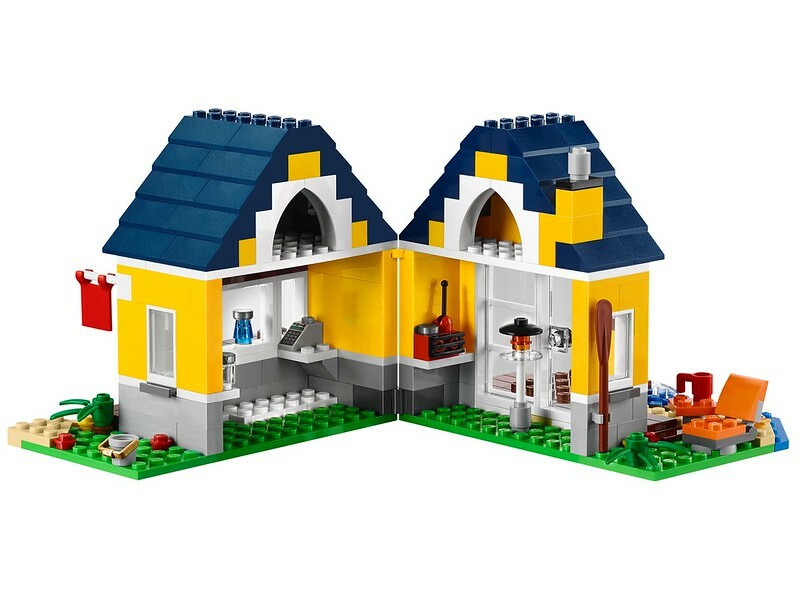 They really have started a mini modular city with these, except that with the hinges sticking the sides of the buildings they won't always be able to sit flush. Still, they could be opposite each other and create a road, rather than alongside each other to create a block. 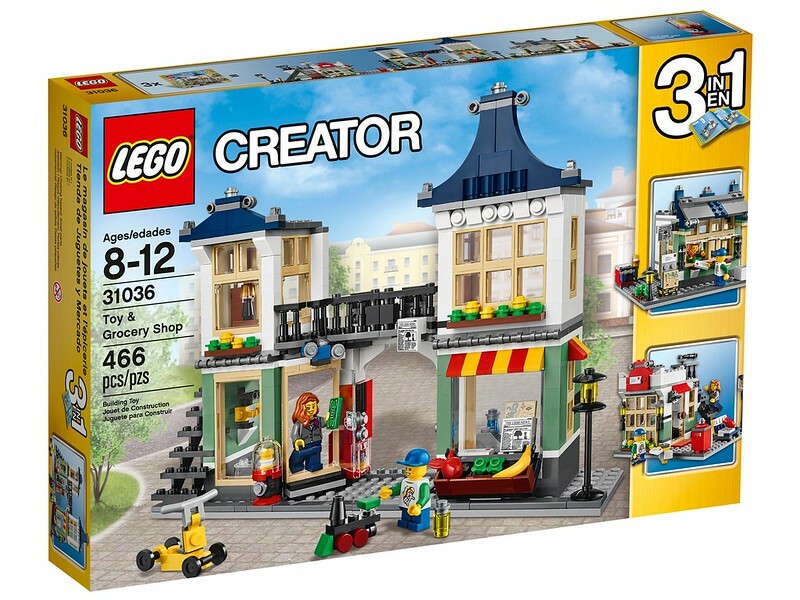 I like these Creator shops for my Creator building layout, but I suddenly yearn for a more substantial home building. The last we had was the Family House in 2013, nothing really in 2014. So I hope they have something later in 2015. At least we get the little yellow beach hut. It may be small but it'll fit with my beachside residences. And it appears to have some kind of small cafe or something on one half of the building? Disappointed. This indeed 'degrades' toward the simplistic City design whereas the lovely bike shop was 'upgrading' towards the modulars. Gee, no love for this set is there.....but why ? Look at the parts, building designs - all 3 of them......ideas and spares for MOCing. As much as i was excited when we first read about the name of this set, I can't really say i'm excited anymore with this leaked pic. 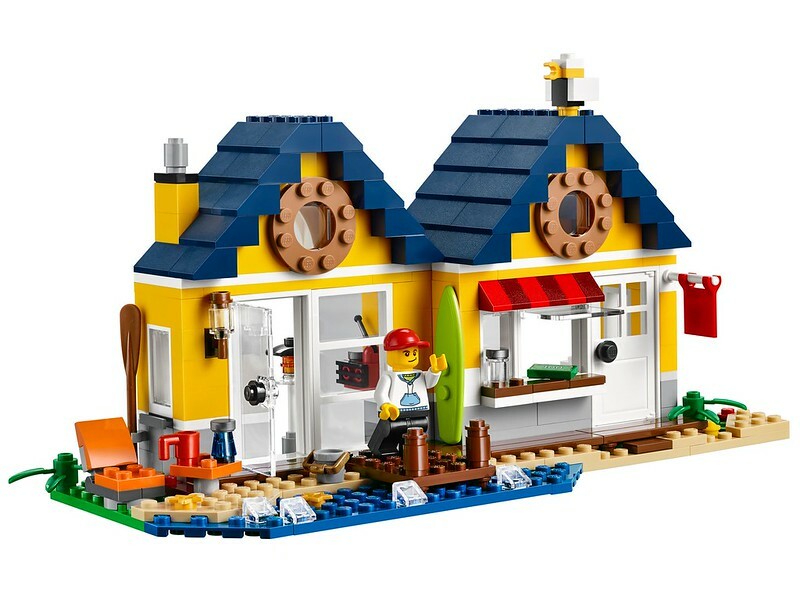 My concerns seem to be the same than the majority here, it looks really small (I was expecting something in the range of the bike shop & cafe set) therefore hard to turn into a modular (even with 2 boxes of it). I'll still wait to see the final set before deciding if I get it or not but for now I'm tending to a no. I liked it- I think the design is cool. 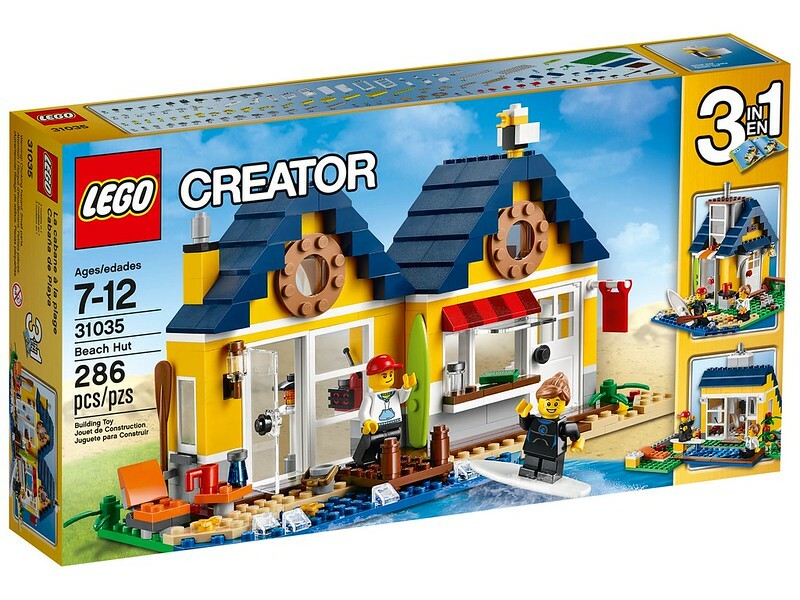 Has anyone considered the fact that this set is going to be cheaper......hence you can buy more of them to MOC into bigger versions of this design ? 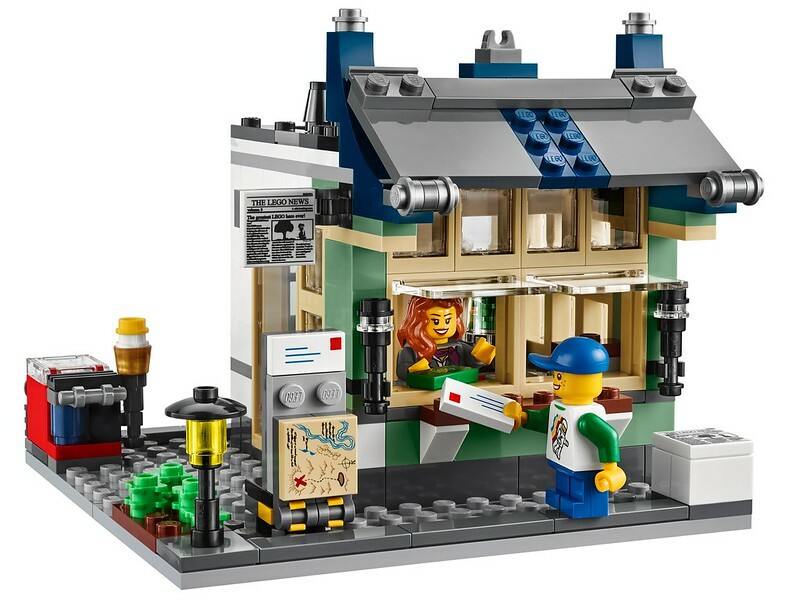 I love the dark-blue roof design (I'll get the set for this alone), there appear to be sand-green bricks in it and dark-red 1x1 round tiles and printed newspaper tiles and a nice collection of tan window frames. Very useful. 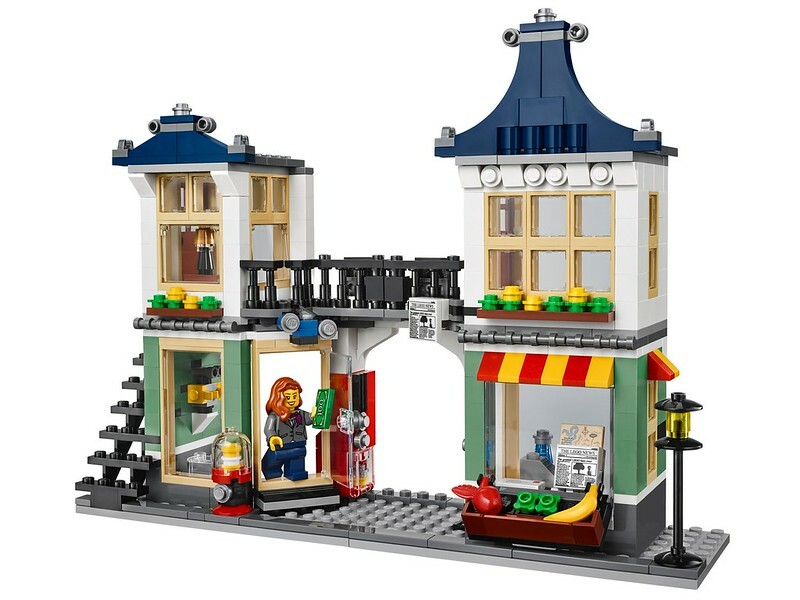 Cant really tell what the other designs are, and if the main design folds into one mini modular like the bikeshop or cafe. 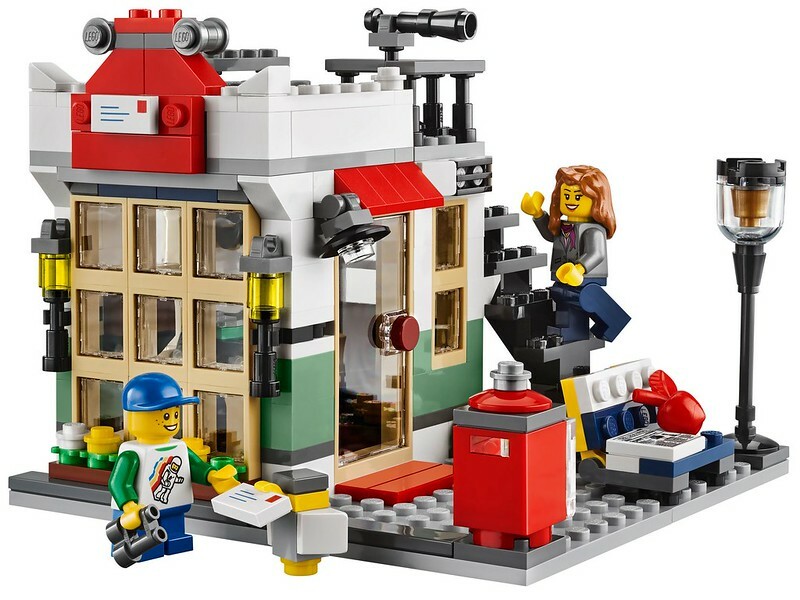 If it indeed folds to form a mini modular then this set is essentially half of the bike and cafe set. Its only as big as the bike shop or the cafe. Either way its a welcome set to my city. 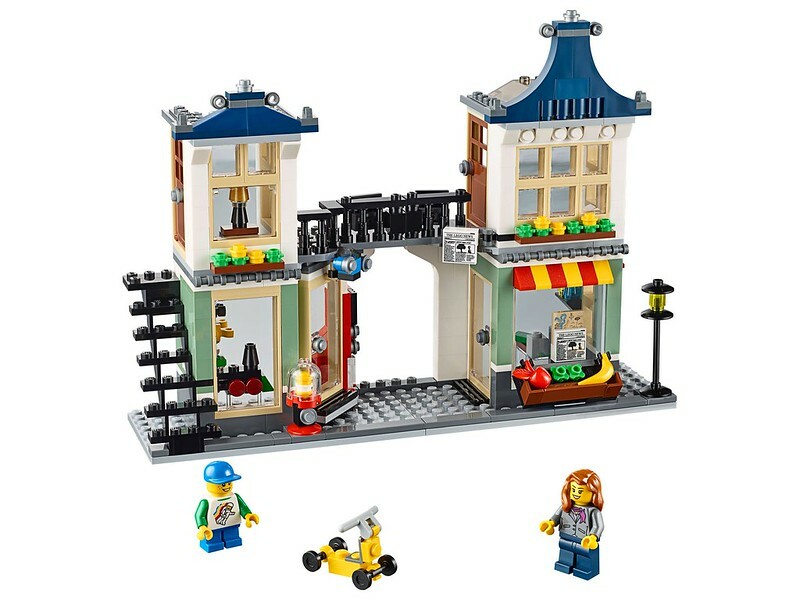 Id get this over any city sets coming out. The other Creator building can be seen at http://www.familiens...trandhuette.jpg . 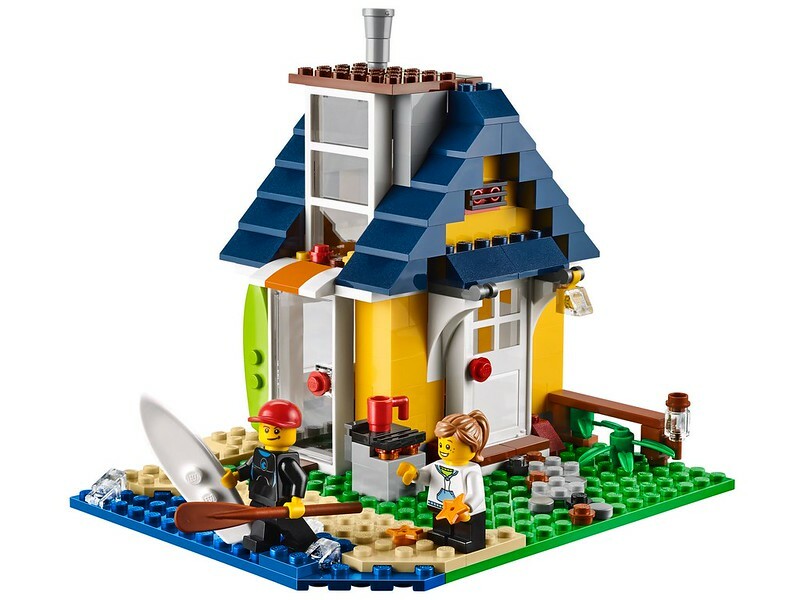 Reminds me a lot of 31009 Small Cottage, just yellow instead of red. 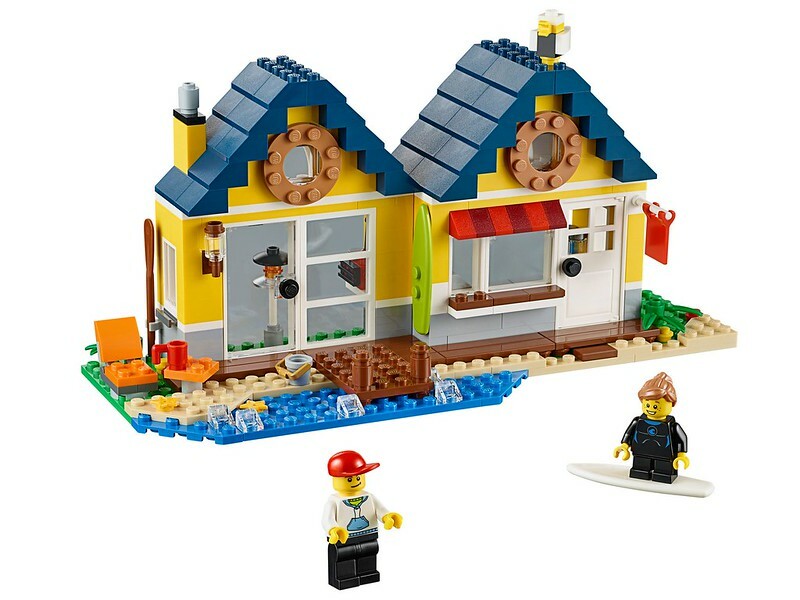 Cute yellow beach hut, but I still prefer the toy/grocery shop. I really like the Toy/Grocery building. I can see myself getting two of these because the alternate builds look interesting. The new creator buildings are really cool, they fit well in my city. 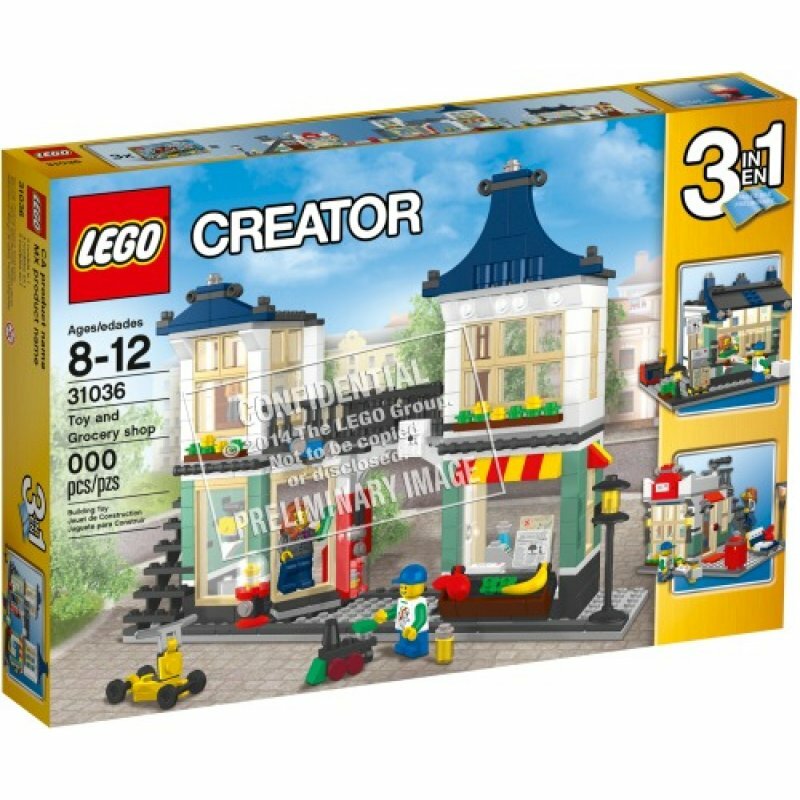 It seems to me that Creator is where we're getting the Town buildings we keep asking for. Branding them as Town may force TLG to set them afire and add yet another Fire ATV, but branding them as Creator just lets them stand as is. I like it - I think it gives a good 'start point' to add to it with other bricks and extend it to become part of your own town. I haven't got the bike shop yet but I think I will... likewise I'd consider this, too. Ooh, that beach hut looks promising--and easy enough to convert for my planned mountain town. I wonder if there will be any interior details. It's why they're discussed in the Town forum. They probably also appeal to both boys and girls, so it makes sense to not release sets like these in the City theme (with Friends targeted at girls and City more at boys). Unreasonable expectations, probably. The rumoured price should have indicated that it wouldn't be the same size (and therefore detail/complexity) as the Bike and Café shops.